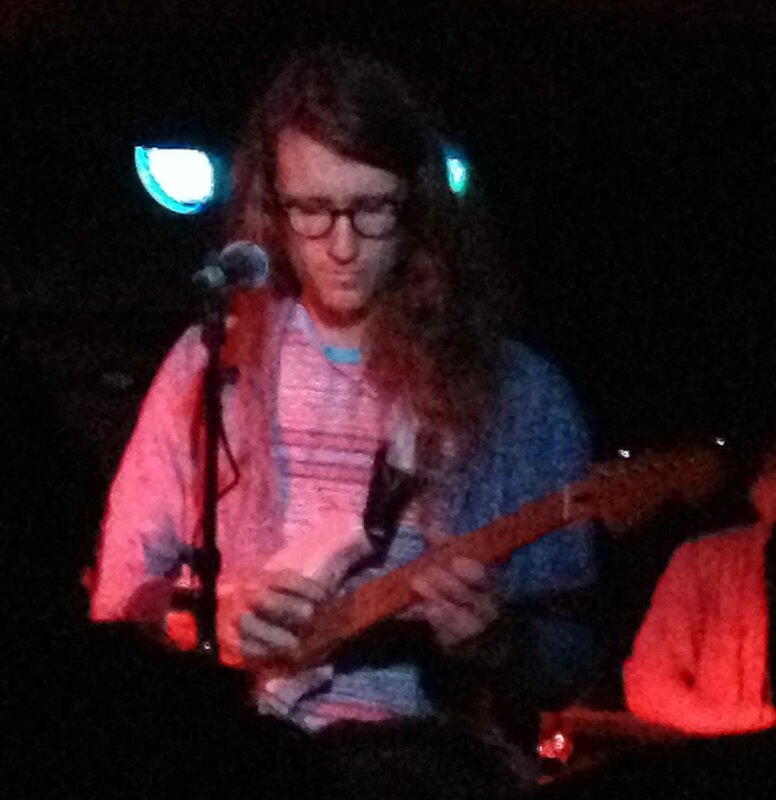 Back in my college radio days in Chicago, Maps & Atlases were bona-fide local heroes. Equal parts math-rock guitar tapping heroics and indie-rock eccentricity, the Windy City quartet easily lended themselves to frequent airplay (“Pigeon” was the background music to several of the public service announcements the station ran, and their music has featured in ads for Nintendo DS). I definitely did my part to wear out our copy of You and Me and the Mountain at every opportunity. The band, currently based on Barsuk Records, stopped by the Larimer Lounge on Tuesday night for one of the final tour stops in support of 2012’s excellent Beware and Be Grateful. 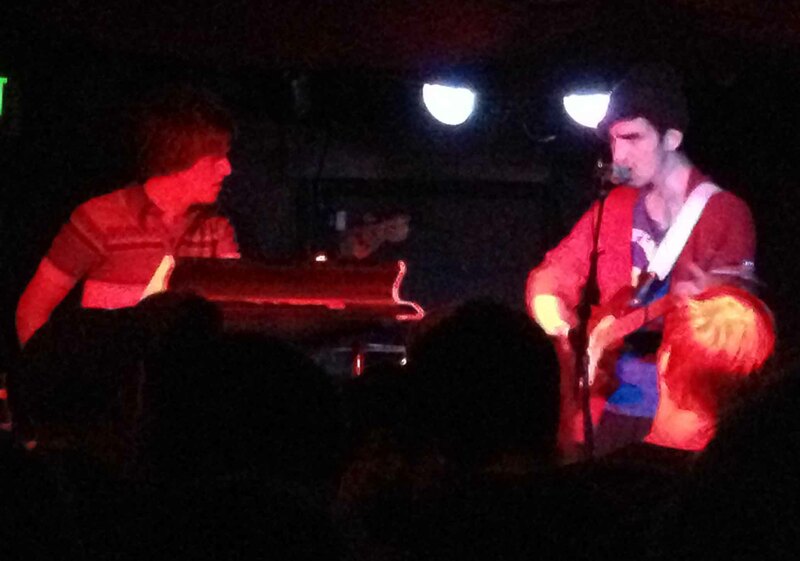 Young Man, who have been opening for their fellow Chicagoans throughout the tour, first gained attention through frontman Colin Caulfield’s Youtube covers of songs by Beach House, Ariel Pink’s Haunted Graffiti, Panda Bear, and most notably, a Deerhunter rendition that Bradford Cox claimed was better than the original. These indie powerhouses all clearly influence Young Man’s originals, and I detect a hint of Dark Side of the Moon on some of the longer tracks as well. Caulfield and company came into their own on Tuesday night though, performing material off this year’s Beyond Was All Around Me including standouts “Josie” and “In a Sense”. Maps & Atlases seemed only slightly fatigued at the Larimer show, their second to last of their western USA tour. Frontman Dave Davison’s sonorous vocals are perhaps the signature element of the M&A sound, but what amazes is his ability to masterfully tap up and down the fretboard without missing a word. Drummer Chris Hainey was occasionally accompanied by bassist Shiraz Dada, who played behind a large bass drum the entire show, and at one point all members sans Davison were on percussion. The new songs from Beware, despite titles like “Winter”, “Remote & Dark Years”, and “Old & Gray”, were teeming with life and energy, though “Pigeon” off of Perch Patchwork remains the crowd favorite. A well-received cover of Tears for Fears’ “Everybody Wants to Rule the World” was thrown in for good measure, and closer “Fever”, a highlight of the band’s catalogue, showed the band at its finest, unafraid to mix pop sensibilities with unique and charming experimental rock delivery.